College life probably won't leave you time to shave every day. Professors will just have to get used to a little scruff on your face—you can always use the excuse that you were up late studying and were too tired to shave in the morning. And when you do have time to shave, you'll want to make it quick. Cans of shaving cream can get messy, oftentimes squirting out more than is needed and leaving you having to take more time for cleanup. So cut back on the mess and save some time with these super cool Shaving Cream Sheets - Pack of 50. Take out a sheet, run it under water, and lather it on your face for a faster shave. The less supplies for college you have, the more space you'll have in your dorm room Cutting back on a few dorm bathroom supplies like shaving cream can really add up, giving you more space on your dorm shelves and in drawers. These sheets come in a pocket-sized container, meaning they take up virtually no space amidst your other dorm supplies. 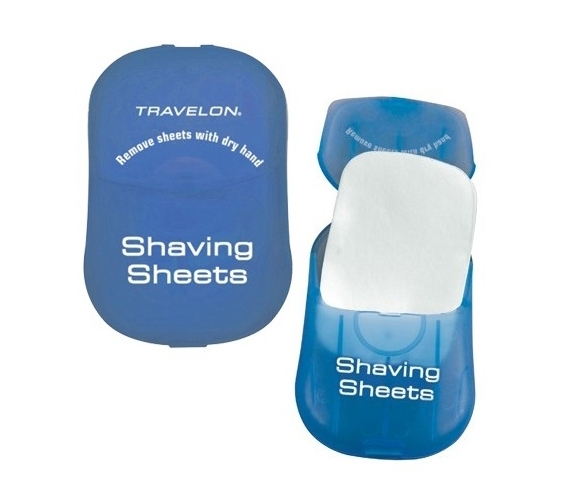 And should you find yourself traveling farther than the communal bathroom, for example, you might take a weekend trip home or to visit a friend, these shaving sheets are a convenient travel accessory as well.